In 2006, at the motor show in New York, Honda presented a new generation of compact SUV cars in the face of Acura RDX. Three years later, in 2009, the model was perfected, changing some technical characteristics of the cross-rover, as well as design. At the moment, the main competitors of Acura RDX are Mercedes-Benz GLK-class, BMW X3 and Audi Q5 series. Acura RDX is equipped with Vehicle Stability Assist, which helps to avoid unpleasant situations on the road, and independent suspension. This model of the car has a four-wheel drive SH-AWD (Super Handling All-Wheel Drive), which allows you to more confidently overcome slippery and uneven parts of the roadway. The basic Acura RDX includes a lot of useful components, such as a premium audio system, built-in onboard computer, humidity and temperature sensors, seat heating, climate and cruise control, a rear-view camera. For the safety of the driver and passengers in the car, VSC, TCS, EBD, EBA and ABS systems are installed. Like all models of the Acura series, there are no official dealers in the domestic market that sell this car. 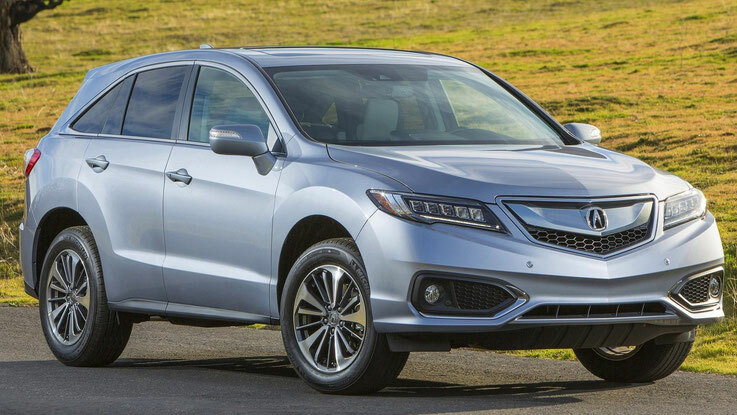 However, this does not stop the Russians from buying Acura RDX from unofficial suppliers, since this car has everything you need for comfort and safety. A great role in choosing this particular model is played by the prestige of the Acura brand, which for many years occupies a leading position in the American market. In the basic configuration, you can buy Acura RDX with a 4-cylinder engine, capacity of 243 hp. and a volume of 2.3 liters. The weight of the car is 1.8t.